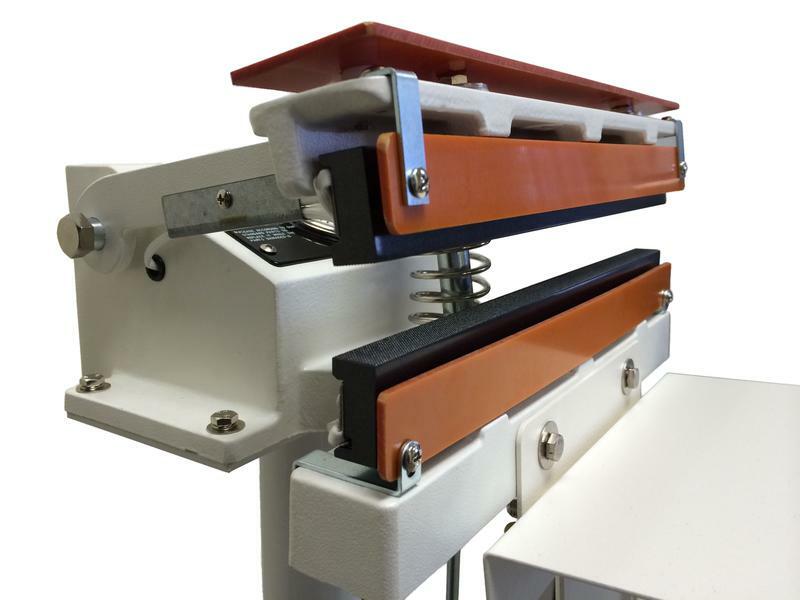 W-300DT Foot Operated Direct Heat Sealer — Sealer Sales, Inc.
Our W-Series direct heat foot-operated sealers seal many different types of thermoplastic materials including: coated aluminum foil, Kraft paper, cellophane, polypropylene, poly-nylon and other thicker materials. Please note: direct heat sealers cannot seal polyethylene. Model #s ending in DT are equipped with meshed (++) seal bars while the model #s ending in DTS are equipped with serrated (==) seal bars. Depending on the model of the sealer, material up to 18" wide and 20mil total thickness can be sealed. Units are equipped with a German manufactured thermostat that accurately controls the temperature from 30°-550° F (0°-300° C). Both jaws are heated simultaneously so there is better heat penetration to seal thicker materials. 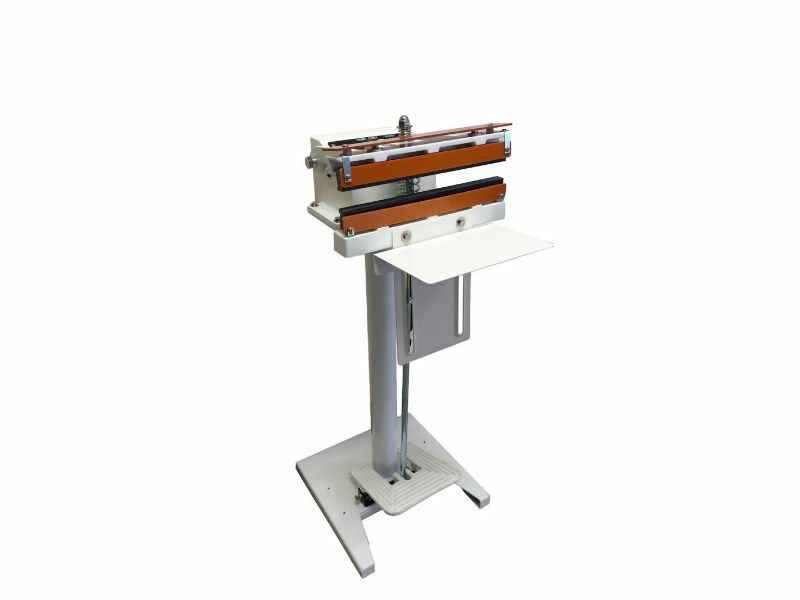 Our W-Series direct heat sealers include an adjustable work table. The pedestal stand is 26", but an optional 36" stand is also available. W-Series direct heat sealers are equipped with protector bars around the jaws to prevent injury. Easy to operate. Set the temperature on temperature controller depending on the material to be sealed. Once the correct setting has been reached, consistent seals will be maintained automatically. Insert the material between the two sealing bars. Press down on the foot board and release.